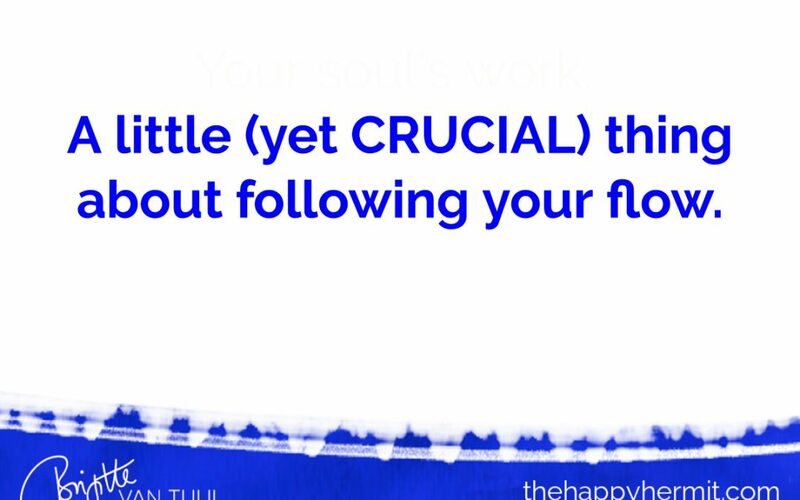 A little (yet CRUCIAL) thing about flow – something to keep in mind if you want to follow your flow, your soul, your intuition. Want to follow your flow and intuition in business & life? Yeah – not always that easy, right? Are flow and inspiration things that just happen to you, or do you have control over it?